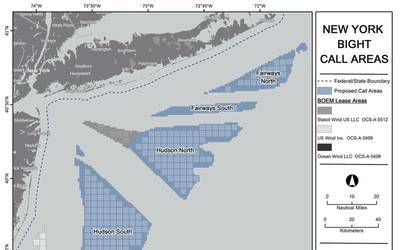 Exxon Mobil Corporation announced today that its subsidiary, Esso Exploration Angola (Block 15) Limited (Esso Angola), has started oil production ahead of schedule at the Kizomba Satellites Phase 2 project offshore Angola. Kizomba Satellites Phase 2 is a Block 15 subsea infrastructure development of the Kakocha, Bavuca and Mondo South fields. Mondo South is the first field to begin production, and the other two satellite fields are expected to start up in the coming months. The project develops approximately 190 million barrels of oil with peak production currently estimated at 70,000 barrels of oil per day. The project is expected to increase total daily Block 15 production to 350,000 barrels. Esso Angola is operator of the project and Block 15. The project optimizes the capabilities of existing Block 15 facilities to increase current production levels without requiring additional floating production, storage and offloading vessels (FPSOs). The Mondo South field is being developed with tiebacks to the Mondo FPSO, while the Kakocha and Bavuca fields are being developed with tiebacks to the Kizomba B FPSO. Nearly $740 million has been invested in Angola for the project, including contracts for fabrication, logistics support and training and development of Angolan personnel. “Achieving successful startup has a lot do with the strong partnership between ExxonMobil and other Block 15 co-venturers, the government of Angola, most notably the Ministry of Petroleum, and Sonangol,” Duffin said. ExxonMobil was awarded Block 15 in 1994 and, to date, has discovered a total of approximately 5 billion oil-equivalent barrels. Oil production from Block 15 to date has exceeded 1.8 billion barrels. Kizomba Satellites Phase 1 started production in 2012. Operator Esso Angola has 40 percent interest in Block 15. Other co-venturers include BP Exploration Angola Limited, with 26.67 percent, Eni Exploration Angola BV, with 20 percent, and Statoil Angola Block 15 AS, with 13.33 percent. Sonangol is the concessionaire.